Why did Ann Arbor SPARK choose Conrin? Conrin was introduced to Ann Arbor SPARK, which already had acquired Salesforce.com, by a client from another economic development organization. Shortly after meeting with SPARK, Conrin began providing Salesforce.com consulting services on an à la carte basis. According to Donna Shirilla, Director, Research and Business Information, SPARK benefits greatly from Conrin’s knowledge of Salesforce.com and economic development. 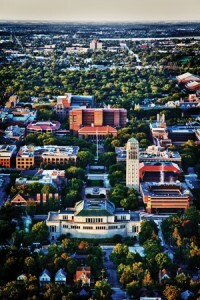 What benefits does Ann Arbor SPARK receive? According to Skip Simms, SPARKS Senior Vice President, “Conrin has worked with Ann Arbor SPARK since 2007 helping us with the more difficult programming aspects of Salesforce. It required significant customization for the unique data collection needs of an economic development organization. Conrin helped make Salesforce more useful and easy and comprehensive. Download the Ann Arbor SPARK Case study.